Egg flan rich in protein and sugar free. Protein Flan 0% of Sugars by Quamtrax is a preparation made of protein from a quality source like the one from egg albumin, which can be eaten as a delicious dessert. Egg albumin provides the best protein from all foods, since it is a complete protein apart from its biological value, because it contains all the essential amino acids in the exact proportions that are needed by the organism for an optimal growth and maintenance of the lean tissue. Protein Flan is a product that will satisfy even the most sweet-toothed people, but without compromising healthy eating habits. This preparation has a little dose of carbohydrates from maltodextrin, which will provide us with a sustained energy dose, without triggering peaks of glucose in the blood. It is a very complete food, its formula provides less than a 3% of fats, and only a 0.4% are saturated fats with a 1.1% of linoleic acid (Omega 6). It is quite low in sodium and it provides a dose of electrolytes like potassium calcium, magnesium, and phosphorus. Protein Flan can be eaten as a delicious dessert or to provide a quality supply of protein at any other time. Who can benefit from Protein Flan? 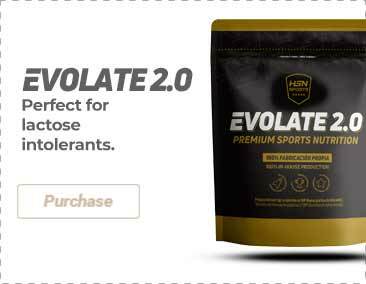 Anyone who wants to follow healthy nutritional habits without giving up the chance of enjoying a delicious protein source that also contributes to the growth and maintenance of the muscles. Egg albumin, gelatin, maltodextrin, sunflower oil, flavoring, color (beta-carotene), sweetener (sucralose). This product contains eggs and products made of egg. Mix 1 scoop (40g) with 250ml of cold water. Add to a proper mold and let it set for 15-30 minutes, preferably in the fridge (3-5Cº). Take out of the mold and serve.